The refreshed Volkswagen Golf SV, a versatile family car that combines enhanced interior space with all the award-winning features of the Golf hatch and estate models, is now available to lease. A longer wheelbase is the starting point of the Golf SV’s superior practicality. At 2,670 mm, it is 50 mm longer than the hatch and estate models. This enables the sliding rear seat bench to be moved backwards by up to 180 mm. The driver and front passengers sit between 573mm and 633mm above the road, and for the rear passengers the figure is 619mm. That’s around 85mm higher than in the Golf hatch. 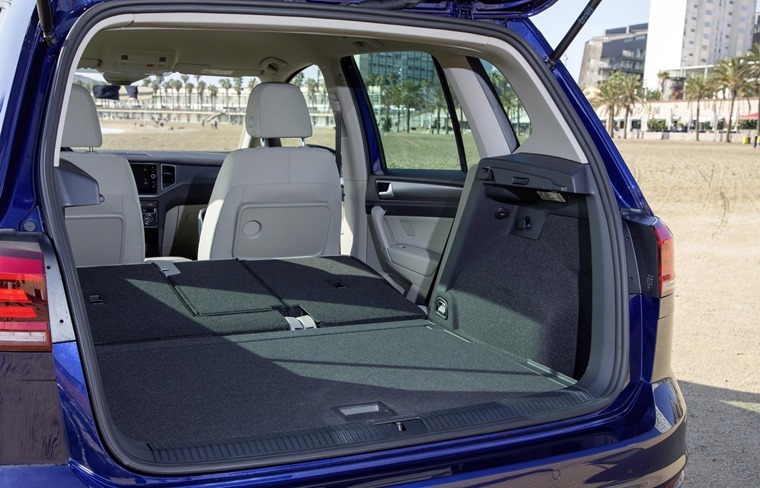 The length of the Golf SV is 4,351mm – so it fits between that of the Golf hatch and the estate. With the whole family aboard, infotainment becomes increasingly important and the Golf SV offers Volkswagen’s top level 8in Discover Navigation Pro unit along with a CD player, DAB radio and simultaneous pairing of two mobile smartphones via Bluetooth. Interior practicality is matched by exterior looks thanks to the revised features on this updated model with new bumpers at the front and the rear sharpening the styling on top of front and rear LED lighting. For the first time, the model is available with Front Assist, Predictive Pedestrian Monitoring, as well as Traffic Jam Assist to take the strain out of driving in stop-start traffic by automatically accelerating and braking as required. Additional technology includes Emergency Assist, which attempts to wake the driver if they become unresponsive and, if necessary, will bring the Golf SV to a complete stop with the hazard warning lights flashing. This is available on SE, SE Nav and GT trims. 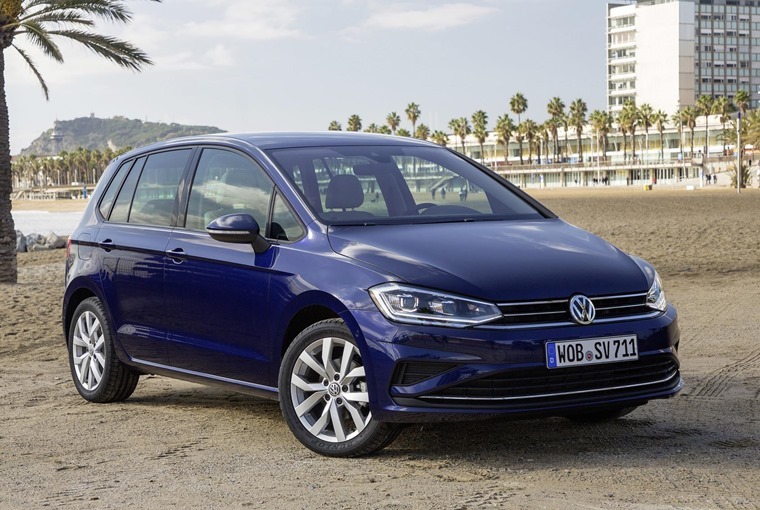 Park Assist 3.0 adds the functionality of manoeuvring out of parallel parking spaces, and Trailer Assist joins the Golf SV tech line-up for the first time. 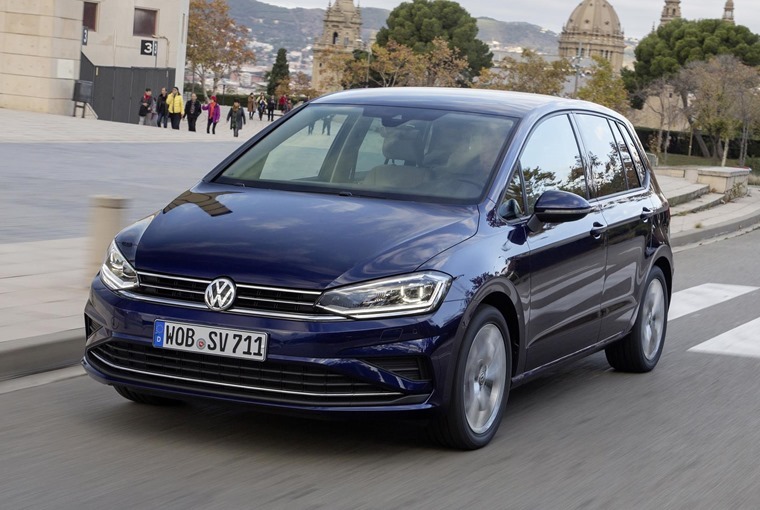 The Golf SV range retains the familiar walkthrough from S to SE, SE Nav and GT. Joining the SE Nav and GT trims is Volkswagen’s new 1.5-litre TSI EVO engine that features Active Cylinder Technology and will shut down two of its four cylinders to reduce fuel consumption whenever possible. The engine is available in 130 PS and 150 PS forms. A total of four turbocharged (TSI) petrol engines, ranging from 85 PS to 150 PS, are joined by two turbocharged diesel (TDI) units, a 1.6-litre 115 PS motor and a 2.0-litre 150 PS powerplant. Five- or six-speed manual gearboxes are available, as well as a seven-speed DSG automatic gearbox. Prices for the Golf SV, which replaced the old Golf Plus, start from £20,475 OTR.